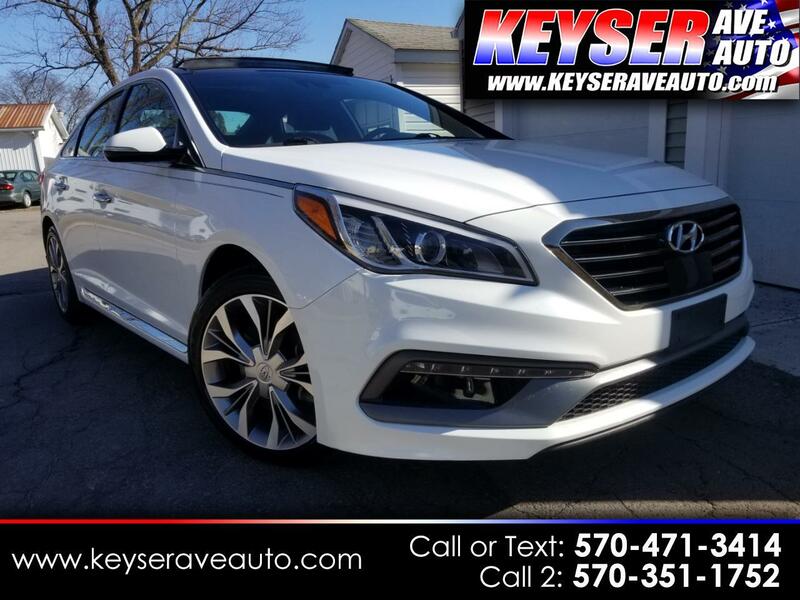 This Sonata has every possible option that comes that Hyundai made that year. It also comes with great safety features such as Lane Departure Warning that informs you with audible and visual cues if you begin to drift out of your lane. Brake Assist that provides you with more stopping power when an emergency stop is detected. Electronic Stability Control and a Traction Control System to prevent your vehicle from skidding. Power options like heated and cold seats, rear heated seats., navigation, rear windows shades, XM Sirrus radio, pano sunroof and much more. I drove this car for 3 months and did not want to gstop driving it. Pearl white paint with black leather seats, very sharp looking car. The 2.0 turbo engine is fast and gets great MPG. Fully serviced with a warranty. Great price, room for everyone! As always, great price right from the start! STOP INTO TODAY FOR A TEST DRIVE.